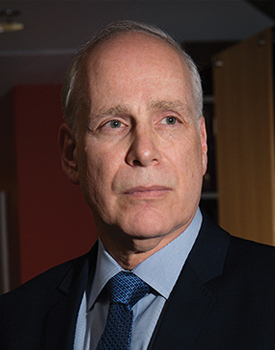 Marvin Huberman is a mediator, arbitrator, and investigator with ADR Chambers. For over 30 years Marvin has mediated, litigated, adjudicated as a former Vice-Chair of the Ontario Commercial Registration Appeal Tribunal, and arbitrated hundreds of disputes involving construction and building contracts, new home warranty and Tarion issues, owners, contractors, subcontractors, material suppliers, architects and engineers, federal, provincial, and municipal contracts, quantum meruit, damages, concurrent liability in contract and tort, tendering, surety bonds, insurance, liens, holdbacks, change orders, setoff, non-payment, trusts, and alternative dispute resolution. Marvin has served as mediator and arbitrator in cases involving farm debts, livestock, advertising, marketing, and sales of goods and was recently appointed as an arbitrator by the Ontario Farm Products Marketing Commission. He is also an investigator for the ADR Chambers Banking Ombuds Office, and the ADR Chambers Ombuds Office providing ombuds services to a number of Ontario municipalities. Marvin is also a member of the Civil Rules Committee (Comité des règles en matière civile), appointed by the Chief Justice, pursuant to the Courts of Justice Act (Ont.). Marvin has expertise in corporate/commercial litigation and administrative and public law, including cases involving banking, contracts, labour, corporate and shareholder remedies, securities, tax, insurance, fiduciary duties, torts, transportation law, professional liability and ethics, and constitutional/human rights. He has extensive experience with administrative/regulatory matters and constitutional/human rights disputes. Marvin is a Chartered Arbitrator (C.Arb. ), a Fellow of the Chartered Institute of Arbitrators (FCIArb), and a Fellow of the Asian Institute of Alternative Dispute Resolution (AiADR). He is certified by the Law Society of Upper Canada as a specialist in civil litigation, and is a former administrative law judge, and adjunct law professor at Osgoode Hall Law School where he taught legal ethics and trial advocacy. Marvin holds a Master of Laws Degree in Alternative Dispute Resolution from Osgoode Hall Law School where he served as a negotiation and mediation coach. He has also served as a civil litigation and advocacy instructor at the Law Society of Upper Canada, Bar Admission Course. Marvin is the editor of “A Practitioner’s Guide to Commercial Arbitration”, published by Irwin Law in September 2017. Marvin is a founding member of the Chief Justice of Ontario’s Committee on Professionalism in the Legal Profession (2001). He was named Commercial Arbitration Law Firm of the Year in Canada from 2015 to 2017 by Global Law Experts, M&A Today Global Award and by The Lawyer International Global Award. Marvin was the recipient of the 2017 Corporate International Magazine Global Award: Partnerships Disputes Mediator of the Year in Canada.